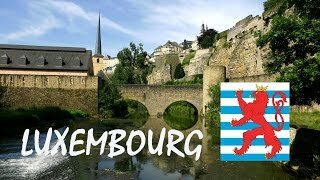 N 49° 36' 42" and E 6° 7' 48"
Luxembourg in Ville de Luxembourg (Luxembourg) with it's 76,684 habitants is located in Luxembourg. It's the capital of this country. Current time in Luxembourg is now 09:28 PM (Monday). The local timezone is named Europe / Luxembourg with an UTC offset of 2 hours. We know of 10 airports close to Luxembourg, of which 3 are larger airports. The closest airport in Luxembourg is Luxembourg-Findel International Airport in a distance of 4 mi (or 6 km), East. Besides the airports, there are other travel options available (check left side). There are several Unesco world heritage sites nearby. The closest heritage site in Luxembourg is City of Luxembourg: its Old Quarters and Fortifications in a distance of 0 mi (or 0 km), South-East. If you need a hotel, we compiled a list of available hotels close to the map centre further down the page. While being here, you might want to pay a visit to some of the following locations: Walferdange, Hesperange, Strassen, Steinsel and Roeser. To further explore this place, just scroll down and browse the available info. Let's start with some photos from the area. 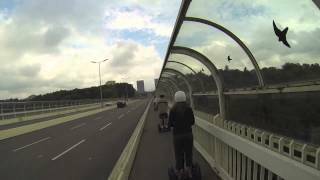 Things to do in Luxembourg City. 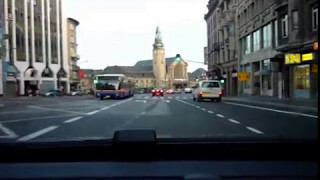 Visit my blog: http://guitigefilmpjes.blogspot.com Driving through downtown Luxembourg and on the Autobahn over the Luxembourgish countryside. 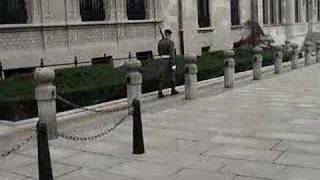 This guard guards the House of Nassau, which is the House of the Grand Duchy of Luxembourg. 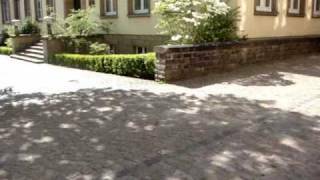 Walking around Luxembourg city centre part 2. Video is accelerated to 8x the original speed. 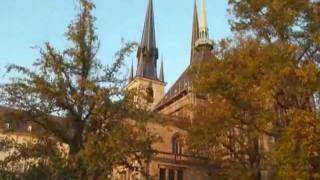 Notre-Dame Cathedral is the Roman Catholic Cathedral of Luxembourg City, in southern Luxembourg. It was originally a Jesuit church, and its cornerstone was laid in 1613. It is the only cathedral in Luxembourg. The church is a noteworthy example of late gothic architecture; however, it also has many Renaissance elements and adornments. At the end of the 18th century, the church received the miraculous image of the Maria Consolatrix Afflictorum, the patron saint of both the city and the nation. Located at 49.6094, 6.13111 (Lat. / Lng. ), about 0 miles away. The General Mediterranean Holding (GMH) is a financial holding company established in 1979 in Luxembourg City, in southern Luxembourg, founded by Anglo-Iraqi businessman Nadhmi Auchi. GMH is a diverse business group with activities in Banking & Finance, Real Estate & Construction, Hotel & Leisure, Industrial, Trading & Pharmaceuticals, Communications & IT and Aviation. Located at 49.6144, 6.1275 (Lat. / Lng. ), about 0 miles away. Located at 49.6111, 6.1325 (Lat. / Lng. ), about 0 miles away. Pfaffenthal is a quarter in central Luxembourg City, in southern Luxembourg. In 2001, the quarter had a population of 1,208 people. Located at 49.6158, 6.13194 (Lat. / Lng. ), about 0 miles away. 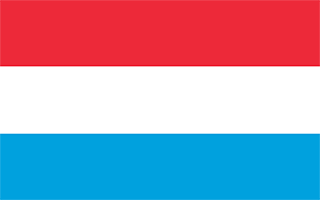 The Duchy of Luxembourg was a state of the Holy Roman Empire, the ancestral homeland of the noble House of Luxembourg. The House of Luxemburg, now actually the Duke of Limburg, became one of the most important political forces in the 14th century, contending with the House of Habsburg for supremacy in Central Europe. Located at 49.61, 6.13 (Lat. / Lng. ), about 0 miles away. Ville Haute is a quarter in central Luxembourg City, in southern Luxembourg. In 2001, the quarter had a population of 2,686 people. 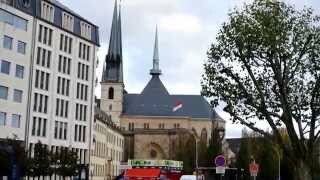 It is the historical center of Luxembourg City and is involved in its UNESCO World Heritage Site status. Ville Haute is home to prestigious places, buildings and monuments such as Place Guillaume II, Place d'Armes, Notre-Dame Cathedral and Grand Ducal Palace. Located at 49.612, 6.129 (Lat. / Lng. ), about 0 miles away. The Monument of Remembrance (French: Monument du souvenir), usually known by the nickname of the Gëlle Fra (Luxembourgish for 'Golden Lady'), is a war memorial in Luxembourg City, in southern Luxembourg. It is dedicated to the thousands of Luxembourgers who volunteered for service in the armed forces of the Allied Powers during World War I. The Gëlle Fra is situated in Constitution Square, in the Ville Haute quarter of central Luxembourg City. Located at 49.6094, 6.12889 (Lat. / Lng. ), about 0 miles away. Adolphe Bridge is an arch bridge in Luxembourg City, in southern Luxembourg. The bridge takes road traffic across the Pétrusse, connecting Boulevard Royal, in Ville Haute, to Avenue de la Liberté, in Gare. At 17.2 m wide, it carries four lanes of road traffic, three to Gare and a bus lane to Ville Haute, and has two footpaths for pedestrians. Located at 49.6089, 6.12694 (Lat. / Lng. ), about 0 miles away. Krautmaart (French: rue du Marché aux Herbes) is an irregularly-shaped broad street in Luxembourg City, in southern Luxembourg. It is situated in Ville Haute, the historic heart of the city. It lies to the east of Place Guillaume II, across the rue du Fossé. As the Chamber of Deputies building is located on Krautmaart, 'Krautmaart' is used as a metonym for the Luxembourgian legislature. Despite this, it is the adjoining Grand Ducal Palace that dominates Krautmaart. Located at 49.6106, 6.1325 (Lat. / Lng. ), about 0 miles away. Saint Michael's Church is a Roman Catholic church in Luxembourg City, in southern Luxembourg. It is located in Fishmarket, in the central Ville Haute quarter. The church is the oldest extant religious site in Luxembourg City. The first church was built on the spot in 987 as the castle chapel for the Count of Luxembourg. However, over the following centuries, the building was destroyed, rebuilt, and renovated several times. Located at 49.6114, 6.13472 (Lat. / Lng. ), about 0 miles away. The René Konen Tunnel (French: Tunnel René Konen), colloquially known as the Saint Esprit Tunnel (French: Tunnel du St-Esprit), is a 655 m road tunnel in Luxembourg City in southern Luxembourg. It carries two lanes of one-way traffic northwards, under Ville Haute, bypassing the narrow streets and pedestrian zone in the heart of the city. At the southern end, the tunnel is fed by the Passerelle, which carries traffic from Gare, on the southern side of the Pétrusse valley. Located at 49.6082, 6.13294 (Lat. / Lng. ), about 0 miles away. The National Museum of History and Art (Luxembourgish: Nationalmusée fir Geschicht a Konscht, French: Musée national d'histoire et d'art, German: Nationalmuseum für Geschichte und Kunst), abbreviated to MNHA, is a museum located in Luxembourg City, in southern Luxembourg. It is dedicated to displaying artworks and artefacts from all epochs of Luxembourgian history. The museum is situated in Fishmarket, the historic heart of the city, in the Ville Haute quarter. Located at 49.6119, 6.13306 (Lat. / Lng. ), about 0 miles away. Place Guillaume II is a town square in Luxembourg City, in southern Luxembourg. The square lies to the west of Krautmaart and to the north of Boulevard Franklin Delano Roosevelt in the heart of Luxembourg's historic Ville Haute quarter. It is colloquially known as Knuedler, from the Luxembourgish language's word for 'knot', referring to the knot in the belt worn by Franciscan friars. Located at 49.6108, 6.13028 (Lat. / Lng. ), about 0 miles away. 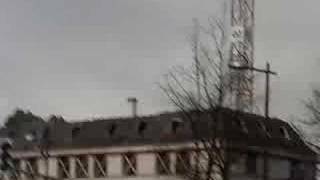 The siege of Luxembourg was a siege by France of the Habsburg-held fortress of Luxembourg City that lasted from 1794 until 7 June 1795, during the French Revolutionary Wars. Although the French army failed to breach the walls of the city, which were renowned as amongst the best in the world, the fortress was forced to surrender after more than seven months. Located at 49.611, 6.133 (Lat. / Lng. ), about 0 miles away. Luxembourg City Hall (French: Hôtel de Ville de Luxembourg) is the city hall of Luxembourg City, in southern Luxembourg. The city hall is the centre of local government, including being used as the private office of the Mayor of Luxembourg City. Due to its position in Luxembourg's capital, it also regularly plays host to foreign dignitaries. It is located on the southwestern part of Place Guillaume II (Knuedler), the main square in the centre of the city. Located at 49.6102, 6.13046 (Lat. / Lng. ), about 0 miles away. Fishmarket, also spelt Fish Market, is a street in Luxembourg City, in southern Luxembourg, that shares its name with the neighbourhood directly surrounding it. It lies in the eastern part of the Ville Haute quarter. Fishmarket was historically the centre of the city. Built at the junction of two Roman roads, it was the site chosen as the heart of Luxembourg Castle. Located at 49.611, 6.134 (Lat. / Lng. ), about 0 miles away. Am Tunnel is a contemporary art gallery, situated in a tunnel in Luxembourg City, in southern Luxembourg. The gallery is located in part of the underground casemates of the city's ancient fortress, under the Bourbon plateau, in the northern part of Gare quarter. It is connected to the former headquarters of Banque et Caisse d'Épargne de l'État (BCEE), the third-largest bank based in Luxembourg. Located at 49.6064, 6.12833 (Lat. / Lng. ), about 0 miles away. The Hôtel de la Chambre des Députés (English: Hall of the Chamber of Deputies) is the meeting place of the Luxembourgish national legislature, the Chamber of Deputies, in Luxembourg City, in southern Luxembourg. It is located on Krautmaart, an irregularly-shaped street in the historic heart of the city, in Ville Haute quarter. Next to the Chamber is the Grand Ducal Palace, the official residence of the Grand Duke of Luxembourg. Located at 49.6106, 6.13278 (Lat. / Lng. ), about 0 miles away. The Luxembourg Stock Exchange (French: Bourse de Luxembourg) is a stock exchange based in Luxembourg City, in southern Luxembourg. The Exchange is located on avenue de la Porte-Neuve, . The Chairman of the Board is Frank Wagener and the President of the Executive Committee and Chief Executive Officer is Robert Scharfe. Located at 49.6128, 6.12792 (Lat. / Lng. ), about 0 miles away. The Cercle Municipal or Cercle-Cité is a building in Luxembourg City, in southern Luxembourg, It is located at the eastern end of the Place d'Armes, in the historic central Ville Haute quarter of the city. Located at 49.6114, 6.12972 (Lat. / Lng. ), about 0 miles away. The Judiciary City is a site in Luxembourg City, in southern Luxembourg, that houses a number of courts and legal offices. It consolidates all of Luxembourg City's judicial buildings, except those related to the institutions of the European Union, on one site, and greatly expands their capacity. The City sits on the Saint-Esprit plateau, sandwiched between the Alzette and the Pétrusse, in the southern part of the central Ville Haute quarter. Located at 49.608, 6.1335 (Lat. / Lng. ), about 0 miles away. Located at 49.6128, 6.1305 (Lat. / Lng. ), about 0 miles away. Located at 49.6132, 6.1257 (Lat. / Lng. ), about 0 miles away. Located at 49.6111, 6.12889 (Lat. / Lng. ), about 0 miles away. Located at 49.6099, 6.1335 (Lat. / Lng. ), about 0 miles away. These districts belong to Luxembourg. These are some bigger and more relevant cities in the wider vivinity of Luxembourg. These are the most popular locations in Luxembourg on Tripmondo.